Lock in a great price for Rooms Hrominc – rated 8.6 by recent guests! The location was away from the main tourist area which was nice. 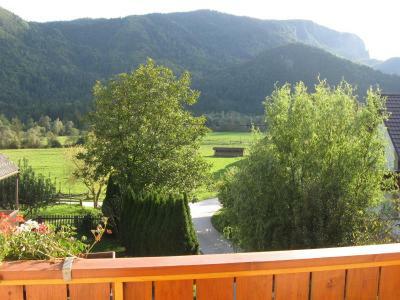 The views of the countryside were beautiful from this property. Modest appointments but very clean. The owner was very friendly and helpful. Sweet, sweet lady! A quiet place with a nice view. The host was very nice. There's private parking. We only stayed one night. It is clean, modern, quite, wifi worked well. 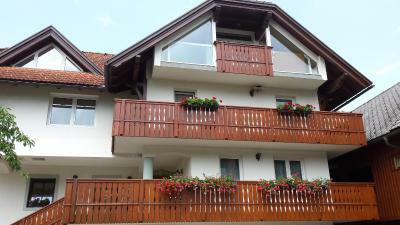 Nice and big room with balcony only 20 minuts walk from the lake and city center. 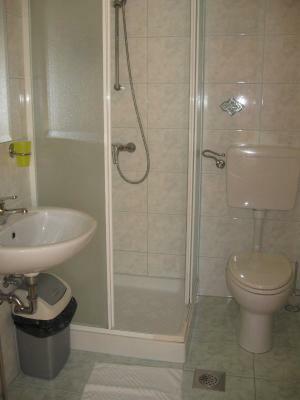 Facilities were clean and host welcoming on arrival. Lovely owner who gave her personal welcome to stay, very attentive. 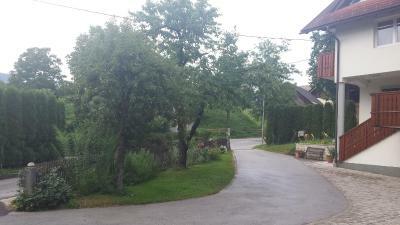 Lovely beautiful village set in very small rural roads about 2 km from lake Bled. Good night s sleep. 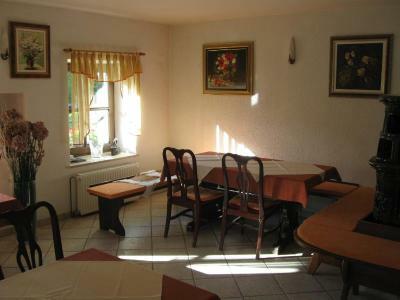 Quadrouple room with modern bathroom was very clean, breakfast was good and owner gave a warm Slovenian welcome. 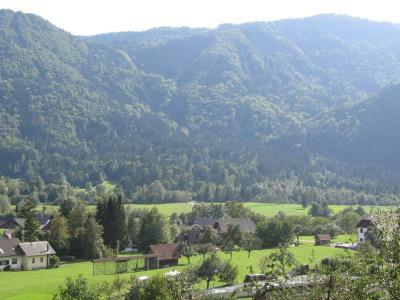 Would make a nice base for rural walking holiday in area, outside high summer temperatures. I liked that due to it's location, it is very quiet and relaxing. 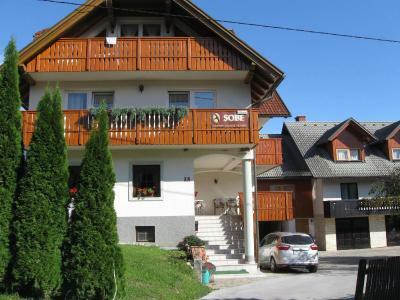 The accommodation is located in Selo, at 1.5km from Bled Lake. 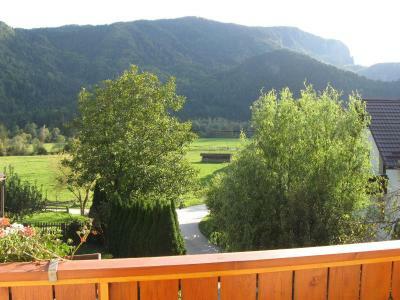 In the evening/night you can stay on the balcony and just stare at the stars, drink something and enjoy the silence. The parking space is ok and the staff is very nice and helpful. Rooms Hrominc This rating is a reflection of how the property compares to the industry standard when it comes to price, facilities and services available. It's based on a self-evaluation by the property. Use this rating to help choose your stay! Featuring a breakfast room with terrace offering views of the valley, Rooms Hrominc offers a balcony, cable TV and free Wi-Fi in all its accommodations units. 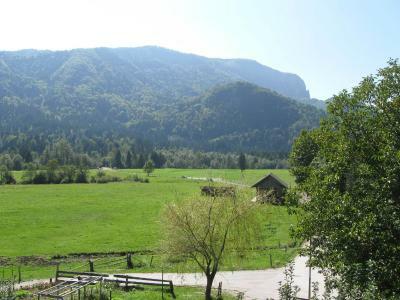 The property is located in the small Selo pri Bledu village, a 15-minute walk from Bled Lake and about 1.2 mi from Bled. Parking on site is free of charge. 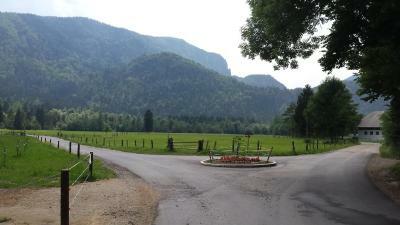 Rafting and fishing are possible on River Sava, 1,000 feet away, while kayaking can be arranged on Bled Lake. There is a golf course 1.9 mi from the Hrominc. 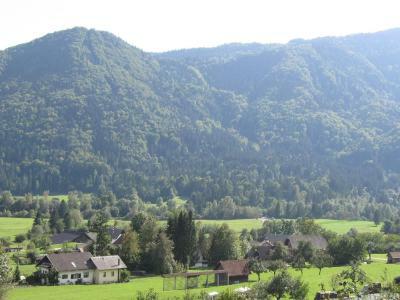 Bled Castle is approximately 3.7 mi away. When would you like to stay at Rooms Hrominc? 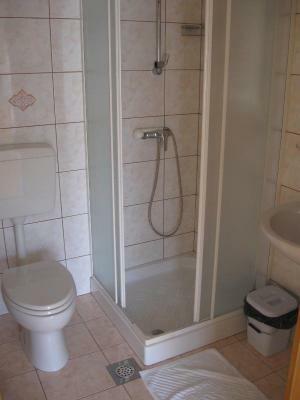 Features cable TV, a balcony with garden view, and a bathroom with shower. 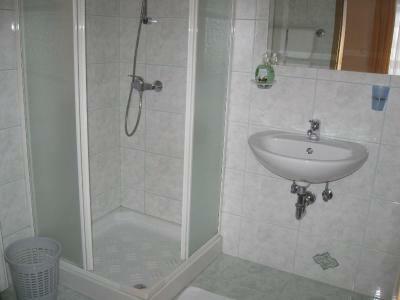 Features cable TV, a balcony with garden view, and a bathroom with bath. House Rules Rooms Hrominc takes special requests – add in the next step! 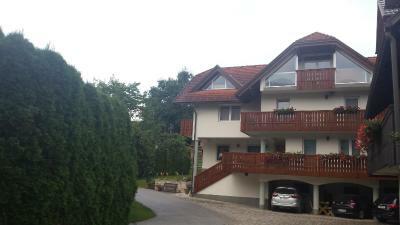 Location is quite far from Bled (not walkable) but we knew that when booking. 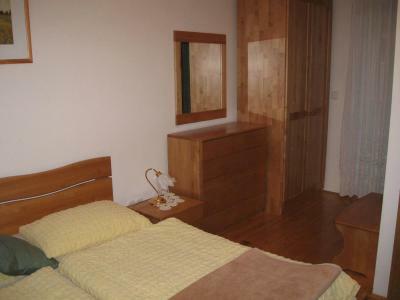 Guest rooms are connected to a family house where small children live and play. We are not accustomed to that so we found the noise a little less than relaxing. I would suggest to highlight to guests that payment is cash only. Wifi was not working properly, although everywhere you turn you can find passwords. 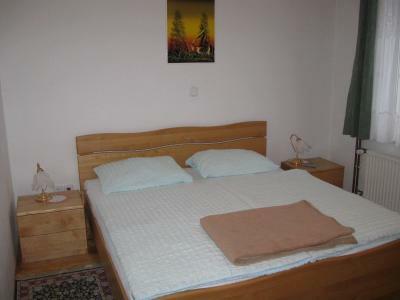 Not very clean.In all corners of the room and bathroom were spider webs.There are no window screen.The pilllows not comfortable.Not walking distance to lake Bled but by car very easy to go. Area is very nice.The host very kind. The area in general is expensive but the price paid in comparison to other places we stayed travelling was not good value. Could hear noise from other rooms and bathrooms which wasn’t the best. 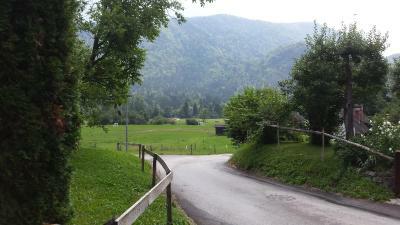 It was a little far to walk into to Lake Bled in heat of day with family. 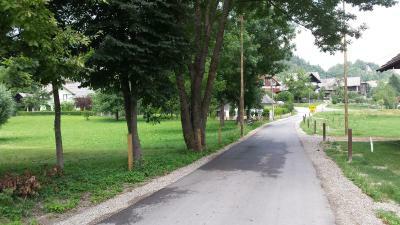 Arrival on very small roads in personal vehicle can be difficult from Lake Bled with alot of vehicles on very narrow roads, (athough village is very quiet, once away from Lake). However owner supplied local Taxi company number, which was efficient and arrived within 10 minutes- about 10-12 euros per trip. It could have some screen doors so that you could enjoy a good night sleep with the window/door from the balcony open and not get bitten from all sorts of insects. We were staying for two nights at this wonderful place. We are a family of 3 (2 grownups and a 13-month old baby). I only have words of praise for the owner and the rooms. 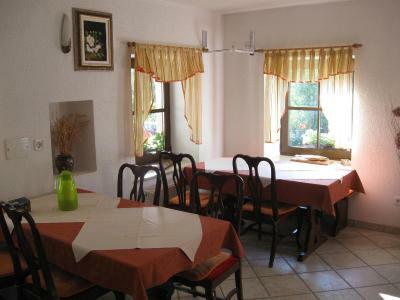 Everything was just as it was described while booking the rooms - clean, comfortable and in a nice and quiet neighborhood. 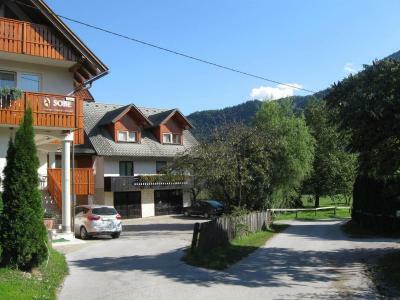 Location was perfect for us as we did not want to be in "downtown" Bled, but instead enjoy the nature at the lake and surrounding the lake. It took us around 25 minutes to the lake itself (by foot), while you can be in the center within 10 mins with a car (did that as well in the evenings). We received inside info from the owner about where to go and what to see and we are eternally grateful for that! We hope to stay at Rooms Hrominc again (very soon)! The location was not so good, especially without a car.